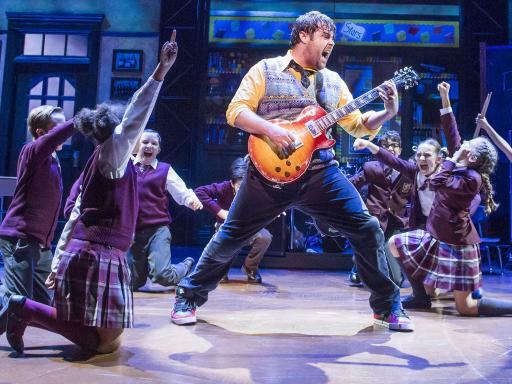 See the family friendly hit 'School of Rock' musical! All service fees and charges. 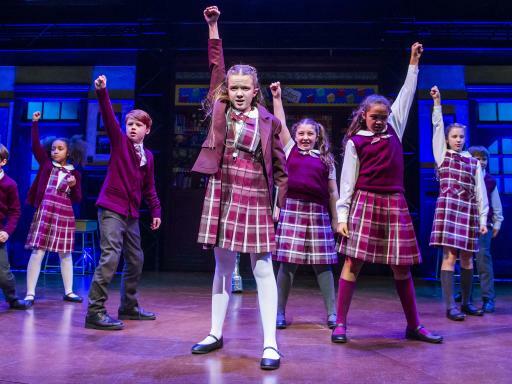 This feel-good musical will have you dancing in the aisles! 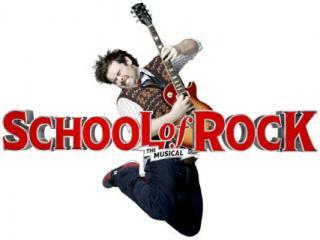 Based on the hugely successful 2003 movie, Andrew Lloyd Webber's School of Rock tells the story of Dewey Finn, a down-on-his-luck, wannabe rock star. 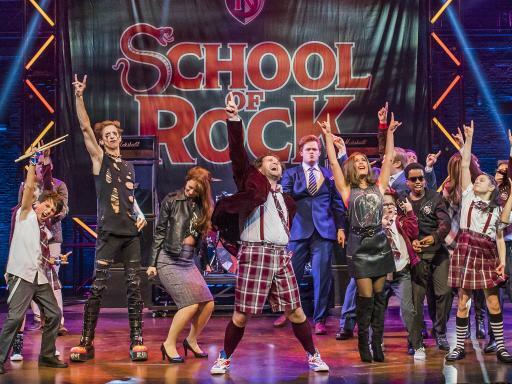 Bring your best air guitar moves for this one! 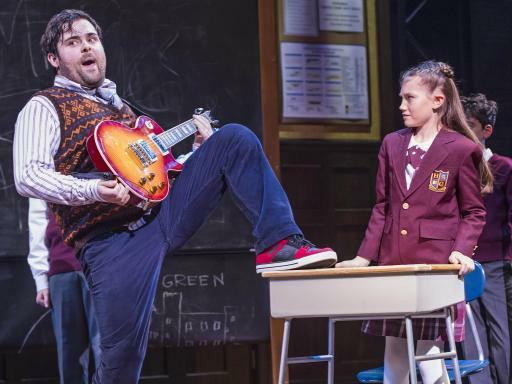 Based on the hugely successful 2003 movie, Andrew Lloyd Webber's School of Rock tells the story of Dewey Finn, a down-on-his-luck, wannabe rock star. 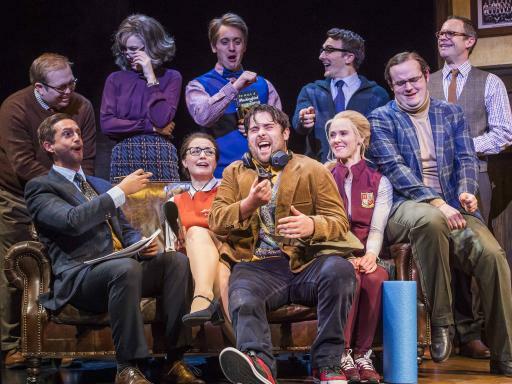 In a moment of madness, Dewey poses as a substitute teacher at Horace Green, a prestigious New York prep school, in order to earn a few extra bucks. 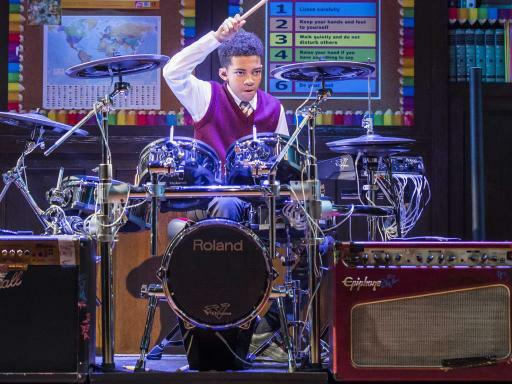 With no interest in arithmetic, academia or A-grades, he struggles to fit in at Horace Green – until he discovers his pupils’ musical talents. 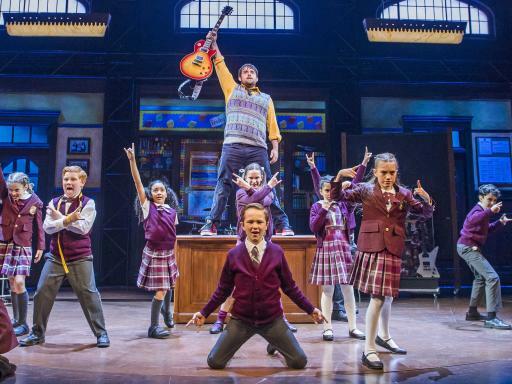 Creating his own curriculum, Dewey focuses on guitar-shredding, bass-slapping and mic-dropping, and transforms these pint-sized prodigies into a mind-blowing rock band. 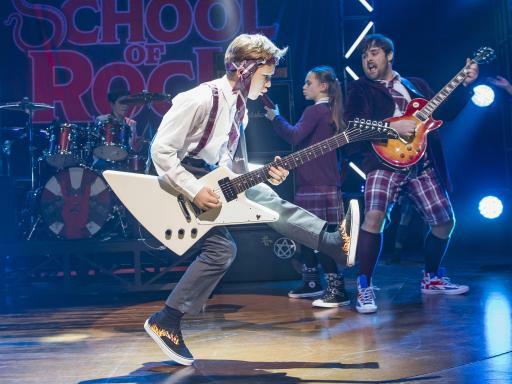 To fulfil his life-long dream, he enlists the electric ensemble in the Battle of the Bands – but can he get them to win the competition without their disapproving parents and uptight Principal finding out? Super Saver: Great value tickets situated in the best available location (Stalls or Circle) at the time of booking - limited availability! Please note - the availability and location of seats varies from night to night and it is always best to book as early as possible. If you wish to discuss the the location of available seats before booking, please give one of our sales agents a call. Departure Location: Gillian Lynne Theatre, 166 Drury Lane, London, WC2B 5PW. 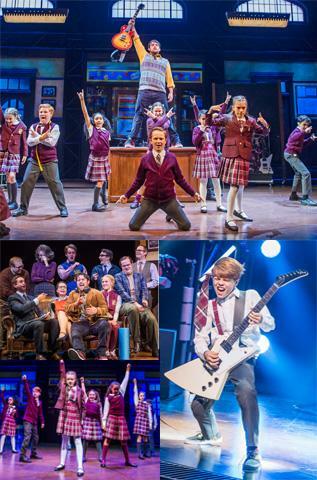 Start Times: Matinee: 2.30pm (3pm on Sunday); Evening: 7.30pm. 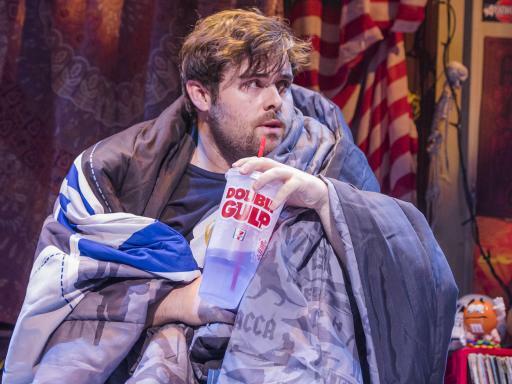 Please note all shows are subject to avaialbility at the time of request. Please note that children under the age of 5 are not permitted.